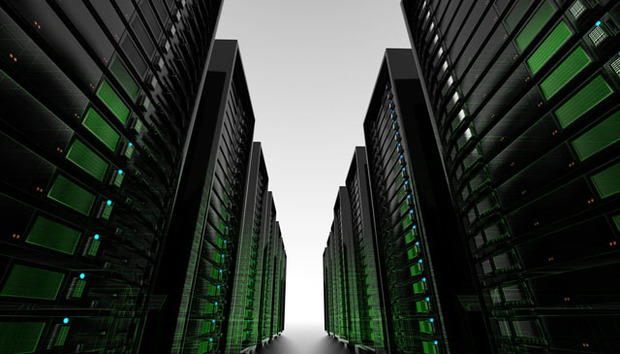 What will the datacentre look like in the future? Will the ever-increasing demand for IT resources mean that power consumption will rise to dizzying heights? Will server-room design change? More importantly - a challenge that is faced by all datacentre operators - what measures can we put in place now to ensure that they operate as efficiently as possible? The short answer is that measures will focus on two areas in particular: making equipment more energy-efficient and making better use of renewable energy. According to the recent Data Center 2025 survey from Emerson Power Networks, while most industry observers think that datacentres will became more efficient, nearly 30% of respondents thought that they would use more energy. This is rather surprising when you consider that 84% of respondents believe that infrastructure equipment will become more efficient, while 67% of them believe IT equipment will become more efficient. There’s a bit of a disconnect there: one that’s even more surprising given the acceptance that renewable energy will start playing a bigger part. Respondents think that 21% of datacentres power will be solar-derived, a big leap from the one per cent that is currently powered by solar energy. Respondents see similar big rises for wind, thermal and hydro power, all indications that renewable energy is set to have a big impact on datacentres. There’s certainly been a global drive to ensure that datacentres are designed to work more efficiently. The European Union is working particularly hard to improve the way datacentres operate and has instigated no fewer than six separate projects aimed at optimising the performance of datacentres: DOLFIN, GENiC, GEYSER, Green Data Net, DC4Cities and RenewIT. It’s misleading to think of them all as similar, however. RenewIT has a distinctly different agenda from the others. Its aim is to develop a simulation tool that can evaluate the energy performance of datacentres operating in different parts of Europe, in varying climates. The RenewIT tool will be offered as a web interface, helping actors from both the energy and IT sectors to reduce the carbon footprint of planned datacentres. It’s this tool that makes the RenewIT project stand out. “They are all separate projects with different takes on how to optimise datacentres to use more renewable energy,” says Andrew Donoghue, European research manager for The 451 Group, one of the partners in the RenewIT consortium. The other projects tackle different elements of the datacentre. DOLFIN, for example, takes a holistic approach pulling together the management of virtual machines as well as the datacentres themselves. The DOLFIN project aims to monitor and measure energy consumption and promote seamless migration of virtual machines between servers within the same datacentre. This will help reduce the overall energy consumption by changing the ratio of active to stand-by servers while optimising the server loads within the datacentres themselves. The aim of the GENiC project is to use sustainable energy equipment to operate all the elements within a datacentre more effectively. Again, the project will have a coordinated approach so datacentres as a whole are operating more efficiently, regardless of the state of the individual elements. The GreenDataNet project takes a different slant: it takes into account the data explosion driven by the increased use of mobile devices and media streaming, leading to a datacentre electricity bill rising between 10-15% annually. The other EU projects will look at how datacentres operate within the so-called ‘smart city concept’: GEYSER looks to combine management of the IT infrastructure with better management of power grids, while the DC4Cities programme will use datacentre optimisation policies to shut down unnecessary and inefficient servers, while using scheduling polices to improve power consumption. The EU is not alone in its endeavours to reduce datacentre wastage and improve efficiencies; the US Federal Energy Management Program (FEMP) also supports datacentre efficiency initiatives by encouraging public sector bodies to adopt best practices and construct energy-efficient datacentres, but the EU initiatives appear to be progressing more speedily. The RenewIT project is set to deliver a web-based tool, that will be supplied free of charge to datacentre designers, consulting engineers, and operators, says The 451’s Donoghue. There are currently eight datacentres involved in the project, some of which cannot be named, but the ones that have gone public include the University Medical Centre in Groningen, Netherlands; CHIC University in Chemnitz, Germany; Polytechnic University of Catalonia in Barcelona; and Italian hospital, Agora Riuniti in Ancona. The participants will be working on the project over the coming months with a working prototype to be unveiled shortly. The RenewIT project has just completed its first year and is progressing smoothly. “We are making progress on developing 18 concepts made up of combinations of renewable energy and cooling, as well as progressing on metrics. The first public prototype of the RenewIT won’t be released till the last year of the project although internal prototypes will be ready next year,” says Donoghue. The EU’s participation in schemes such as RenewIT and the others show how important the need to improve datacentre efficiency has become. The growing use of renewable energy is one aspect of this, reducing the size of the datacentre is another. According to the Emerson Power 2025 survey, 58% of respondents believe that by 2025 datacentres will be half (or smaller) of the size of current facilities. This flexibility will also mean that they could be sited in different climates too – which is where the RenewIT project could prove its worth. Thanks to this and other initiatives, we can certainly expect to see some major changes in the way that datacentres are constructed and designed in the coming years. Brighton, England-based Max Cooter has spent about 25 years writing about technology, when not obsessing about his beloved Brighton and Hove Albion football and Sussex cricket teams. « New Research: What Motivates Ultra-Keen IT Pros?